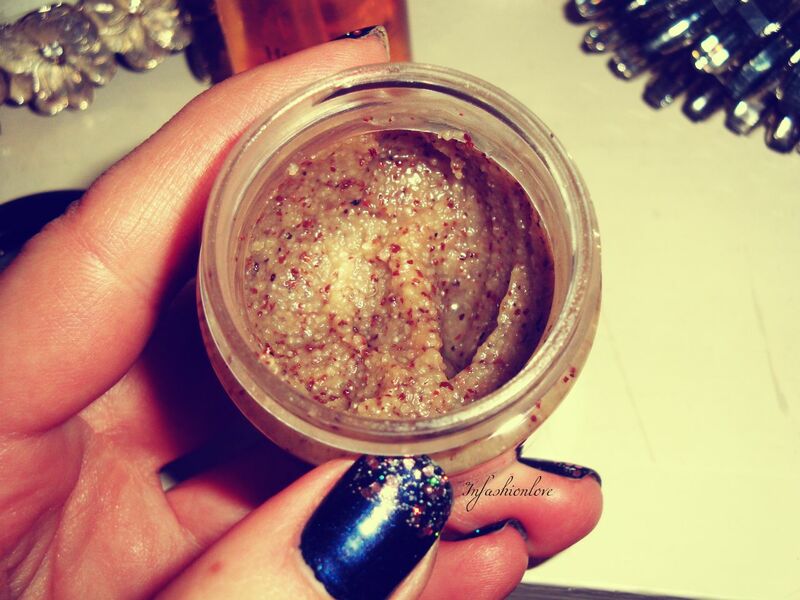 INFASHIONLOVE.COM: Caudalie Crushed Cabarnet Scrub! 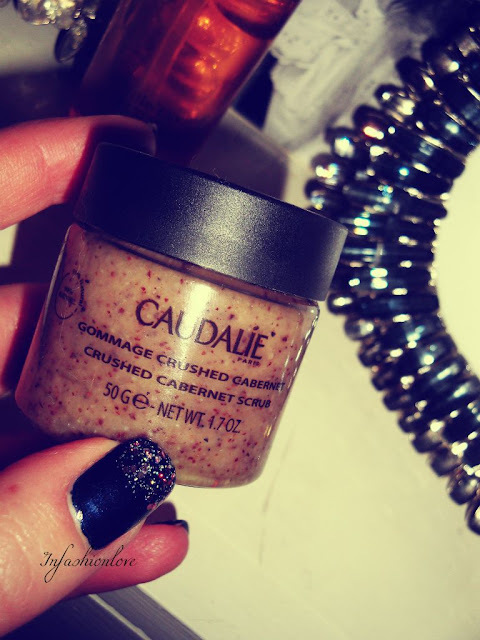 I have featured this beautiful Caudalie Crushed Cabarnet Scrub in my last year's Gift Guide, it was part of the Christmas Divine Oil Gift Set hence it's a mini 50g size... I think soon I will have to indulge in the full-size jar! I have done a review on the gorgeous Divine Oil that came with it, which you can read all about by clicking here but haven't done a full review of their famous scrub! I've used the scrub couple of times and it really feels luxurious, the scent of the white wine is quite invigorating and pungent, so I keep it for nights when I need extra bit of pampering... It makes the skin feels amazingly soft, and it's the whole experience of the Cabarnet fragrance filling up your bathroom for some quality spa me-time! Valentine's is slowly approaching, are you thinking what I'm thinking? !